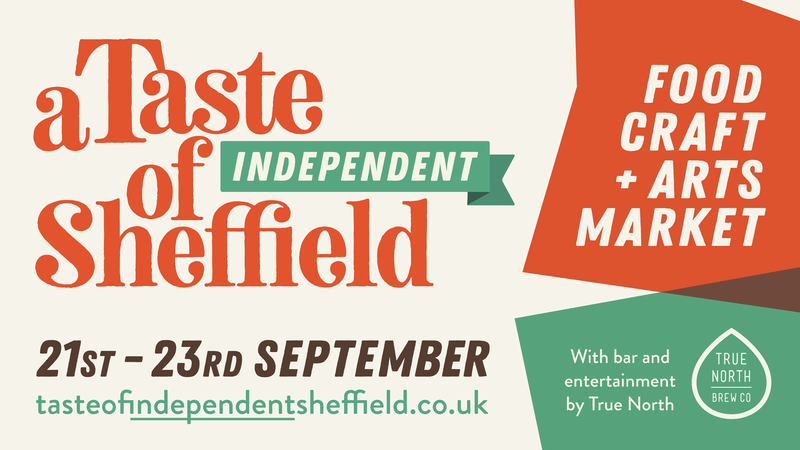 Are you ready for A Taste of Independent Sheffield? From 21 to 23 September, Fargate and the Peace Gardens in the city centre will become home to a new food, crafts and arts market. From the people behind True North Brewing Co., and Timm Cleasby from Tramlines Festival, comes a ‘A Taste of Independent Sheffield’, which will aim to create a community event to showcase and support local and independent businesses. On the weekend that’s sees the return of the Sheffield 10K as well as thousands of university students, ‘A Taste of Independent Sheffield’ is set to top off the weekend and attract people to engage with the city’s vibrant community of independent makers and retailers. Officially open on Friday 21 September, the city’s Lord Mayor, Magid Magid will launch the True North Tent for a weekend of gin, rum, local brews and live entertainment. Saturday and Sunday’s market will then bring Sheffield’s independent traders, makers and artists together, to showcase their local businesses. True North Brew Co. will also be running its own bar in the True North Tent, offering drinks from some of the city’s finest breweries. Throughout the weekend, stalls, including the True North Tent, will be open from 10am. Capitalising on previous success at its own gin festivals, True North Brew Co. will also be curating a Gin and Rum festival, tempting you with more than 100 different spirits, live music and expert advice and talks from gin and rum experts. Ticket holders to the recently-cancelled ‘Sheffield Gin Festival’ from Gin Festival Limited will be able to pick up a free drink courtesy of True North – more details on how to redeem this will follow soon. Stay tuned to hear which of your favourite independents will be trading over the weekend, plus who you can catch playing live in the city centre. Follow 'A Taste of Independent Sheffield' on Facebook, Twitter and Instagram for updates.